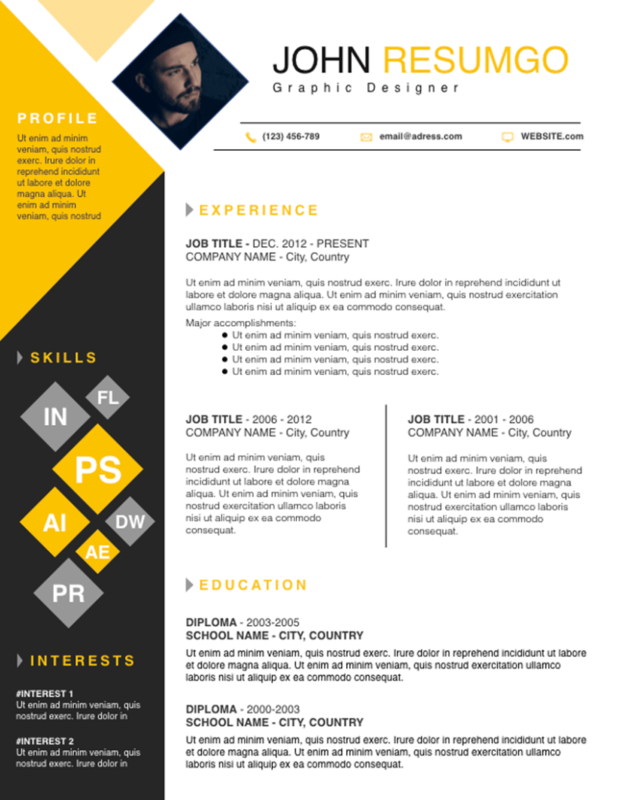 Deimos is a free square resume template, with a 2-column structure layout on a white background, and with yellow triangles and squares. The left side of the template uses an abstract black and yellow background. It will highlight your profile description, your skills (with a nice square cloud, the bigger the square, the higher your skill is) and interests. The main/right part focuses on your personal information (header), professional experience, and education.